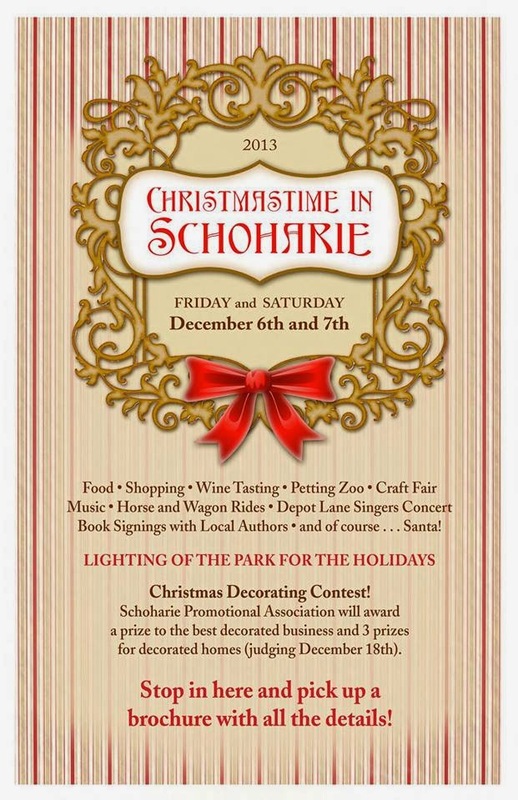 Schoharie is set to kickoff the holiday season with their "Christmastime in Schoharie" two-day event next weekend. Starting on Friday afternoon and lasting into the following evening on Saturday, the event will offer something for everyone from meeting Santa (Friday at 6pm at the county courtyard) to horse and wagon rides and lighting the Fox Creek Park (Saturday at 4pm) for the holidays. 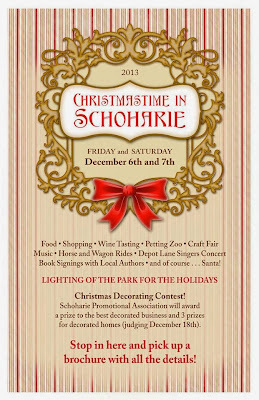 There will also be a Christmas decorating contest, sponsored by the Schoharie Promotional Association, that will award a prize to the best decorated businesses and three additional prizes for decorated homes. The judging will be done on December 18th and you can stop in Magical Printing and Designs to pick up a brochure with all the details. Early forecasts indicate a 80% chance of either rain or snow to come down on Friday afternoon, with Saturday looking mostly dry with temperatures in the mid-thirties.